← postalnews.com poll: Who would you like to see as the next President? NAPUS left small office postmasters “out to dry” when Headquarters decided to implement POStPlan. How many PM’s left positions they were satisfied with, took downgrades to keep a job or retired because NAPUS leaders couldn’t or wouldn’t listen to those who could see what was going to happen to service, customers and employees? 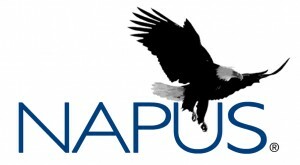 NAPUS can say what they want now, but it is way too little AND way to late. This is an organization that failed its members and can only now see what a lot of us saw coming. I was a Post Plan impacted Postmaster who downgraded to a PTF clerk position. If I ever get back into the Postmaster Craft I dare NAPUS or the League of Postmaster to ask me to join. I wonder if any other corporation has downgraded their mid-level managers to part time positions? Oh and eCareer is an absolute joke, I’ve been turned down for promotion 64 times since Post Plan was announced in May 2012. Did I mention I’ve been with the USPS for 22 years, 17 as Postmaster. A former Postmaster thinks I’m being punished for not accepting their paltry early retirement offer in 2014. I could live on $900 a month if I didn’t eat or pay my utilities.